When I was in seminary at Earlham School of Religion, I was able to spend all my time studying and pondering the nature of God, Jesus, and the community gathered around him. I considered deep questions of meaning, reflected on Quaker history, and came to a more settled understanding of the Bible and Christian spirituality. I visited a wide diversity of Quaker churches and gatherings, gaining greater insight into who we were as a whole. Since completing my time at seminary, my life has changed. Slowly, gradually, my life has shifted away from the kind of full-time reflection I enjoyed at ESR. I got married, had a child, and took on full-time employment. Life is very full. I don’t have the mental, physical, or spiritual space to live the kind of deeply contemplative, studious life that I experienced in seminary and in the years immediately following. I hope I will again someday, but I suspect it won’t be soon. As my life has shifted in a less contemplative direction, my existential curiosity and angst has not diminished at all. If anything, the press of daily life, work, and child-rearing has made issues of meaning, purpose, and legacy even more urgent. I’m growing in my experience of what it means to support others as a husband, father, and resident of the city where I live. It’s full-fledged adult life in all its freedom and responsibilities, joy and stress. 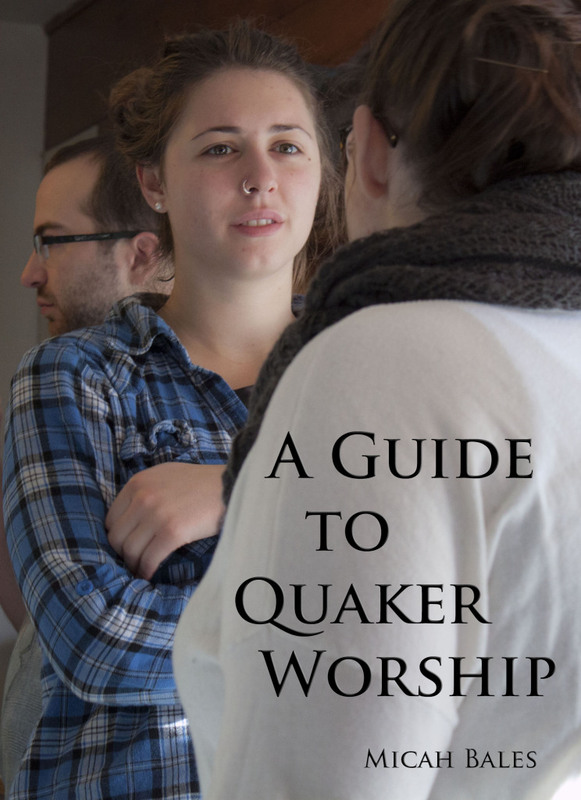 And after a decade of asking hard questions and drinking deeply from the Quaker tradition, I’m convinced of this: All I really need is Jesus – a real, intimate relationship of discipleship with him amidst the noise and clatter of everyday life. I need him to guide my day, even as I’m in the midst of it and can’t see where I’m going. I need him to make my responsibility clear to me, even when it’s inconvenient. I need him to bear God’s love to me, even when I feel lost and unworthy. For me, any theology beyond Jesus’ death & resurrection is a luxury – something that, while nice to have, I probably don’t have time for most days. I can’t live without Jesus, though. I need his cross to engage with tragedy. I need his resurrection to overcome it. I need to experience Jesus’ sacrifice first-hand, in my daily surrenderings. I need his resurrection to hold me together when the confusion and pain seems like too much to bear. I need his guiding hand, giving me faith in a victory beyond the compromises and losses of daily life in this world. I don’t have God figured out. I don’t have the Bible memorized. I can’t tell you how the Trinity works or explain the systematic theology of the great theologians. Probably never will. But I do know I need Jesus. I need him to heal me, hold me together, and guide me in the little steps I must take to be faithful amidst the day’s work. When I was a young man, I didn’t worry about the things I do today. I had a whole different set of concerns. As an adolescent and early-20-something, I was anxious about whether I’d ever make it to real, independent adulthood. There was so much unanswered. Would I marry? Would I have children? What would my vocation be? Most of all, I worried about finding my place in the world. What was the purpose for which I was born? Maybe there’s never a complete and final answer to some of these questions. But over the course of the last decade, I’ve gotten a much better idea of what my life is to be, and who I am to spend it with. My longings and questions have been answered in strange, surprising, and marvelous ways. I’d be a fool not to realize how much I’ve been blessed. This life is fantastic. Yet these blessings have not come without a price. I’ve found a community, a family, and a home. I’ve also discovered a whole new set of anxieties. As a young man, I was focused almost exclusively on what I could experience and discover. But now that I’ve gained so much, my attention is increasingly centered around the possibility of loss. Rather than an adventure to be risked, I’m tempted to treat my life as a fortress to be defended. Instead of embracing the gifts I’ve received, I often grip them tightly, guarding them from every threat (real and imagined). That’s no way to live. I know this, because my 19-year-old self reminds me. I remember how he laughed in the face of challenge. For him, it was all about the adventure, the possibility. (Of course it was – he didn’t have anything!) My adolescent self was so alive, and vibrant, and fearless. It’s almost painful to remember having feelings that strong, hopes and dreams so ardent and bright. Of course, my adolescent self also had a tendency towards selfishness and poor impulse control. He didn’t play well with others, and he came across as a know-it-all. These days, I may burn less brightly, but I have some perspective that makes me less difficult to live with. Still, I yearn for the fire and passion I experienced when the world was just one wide-open horizon. I wonder, could I live with that kind of fearlessness again? With all the experience I’ve gained, with all the blessings I’ve received, how would it feel to live with nothing to lose? 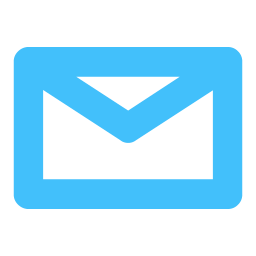 What would it mean to let go of my need to preserve and defend my comfortable lifestyle? How would it feel to fully trust God, to release my grip on life and trust that he will provide for whatever comes next? 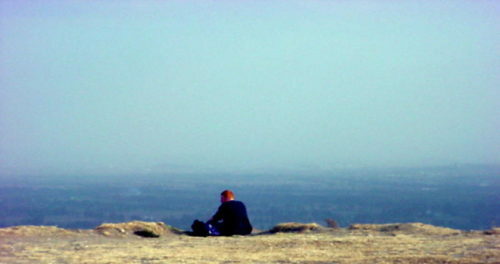 I’m sitting on the cliff’s edge with my 19-year-old self, looking out at the horizon. Anything is possible, if I’ll just relax, take a breath, and let go. Here I am, Lord. Where do you want to send me next? What are you doing the first weekend in October? 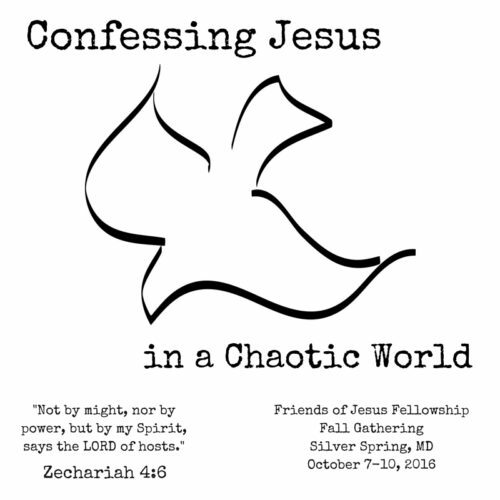 As a reader of this blog, I want to extend you a personal invitation to join me and the Friends of Jesus Fellowship for our Fall Gathering in Silver Spring, Maryland. Experience food, fun, fellowship, and Spirit-led worship with a group of like-hearted followers of Jesus. This October, we’ll listen for how God is calling us to live as disciples in these chaotic times. Not by might. Not by power. But by his Spirit. Fall Gathering will be a family-friendly event, with children’s programming and a playground on-site. Faith and I will be bringing our son, George, and other families will be there as well. We hope that you’ll bring your little ones to play together with us, and grow in Christ’s love. The Peach Orchard Christian Retreat Center’s address is 15712 Peach Orchard Rd, Silver Spring, MD 20905. There is both a limited number of hotel-style rooms and plenty of dorm rooms. If you have a preference please let us know and we will try and accommodate them. Family and those with other specific needs will be given priority for the hotel-style rooms. Those staying in dorms will need to provide their own bedding and towels. There is no wifi at the retreat center. There are a variety of hotels nearby for those who would like that kind of lodging. Sign Up Today and Join us in Silver Spring! There’s never been a better time to experience the Friends of Jesus community. In these times of darkness and confusion for our nation and world, I hope that you will join us as we discover what it means to be the light. Racism. Xenophobia. Misogyny. Calls for violence and bullying behavior. A rejection of the international rule of law and of the most basic protections for those who fall outside the bounds of white America. None of this is new. 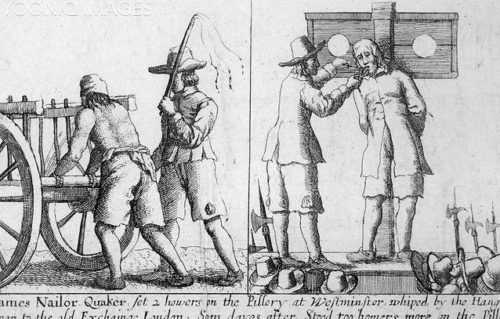 This has been the undercurrent of American culture and government since colonial times. We’ve been taught to aspire to the American Dream, but we rarely speak of the nightmarish cocktail of blind hatred and self-satisfied privilege that exists alongside it. Most of us have wanted to pretend it wasn’t there. We wanted to believe that our nation, our culture was basically good – and getting better. We told ourselves that all of the bigotry and violence were merely wrinkles to be ironed out of the garment of “American exceptionalism” – our nation’s unique role in human history. The rise of Trump reveals this to be wishful thinking. The age of Trump is one apocalyptic revelation. For anyone who has eyes to see and ears to hear, the veil of denial has been torn away. Trump has come to personify the hatred and selfishness that has always simmered beneath the surface of American society, ready to burst forth in mob violence, lynchings, calls for war, and suppression of dissent. It would be easy to focus our rejection on Donald Trump and his immediate supporters. It would be easy to name them as everything that is wrong with this country. It would be easy, and it would be a terrible mistake. Trumpism is a presenting symptom of our condition as a nation, but the disease runs much deeper. The spiritual reality that Trump’s candidacy is tapping into includes every single one of us, especially for those of us who are part of white America. In a way, we should almost be thankful for Donald Trump. He has made visible that which was once hidden to many of us. While you and I have spoken only in polite euphemisms, Trump spews his vile hatred openly. We’ve hidden our bigotry in the shadows, but Trump has dragged white supremacy out into the light of day. It’s amazing how God uses twisted, evil people to accomplish his purposes. The rise of Trump is an invitation to repentance. It’s a moment to take stock of our own racism, greed, childish entitlement, and easiness with state violence. We have an opportunity to see our own complicity in systems of injustice that oppress black Americans, native Americans, the poor, women, and so many others. Ultimately, we are all enslaved by these principalities and powers, and only Jesus Christ can free us from their grip. I have seen some snark on social media that “Donald Trump is the candidate of the apocalypse.” I don’t think it’s a joke. The Greek word “apocalypse” means to unveil, or reveal. The Trump candidacy is a great revealing for us as a nation, and a moment of decision for those of us who seek to follow Jesus. Will we walk in the way of the slaughtered lamb, or will we join forces with the raging Beast who seeks to conquer the people of God? Let’s not kid ourselves. Undocumented families in the United States – they’re the people of God. African Americans, who have been and continue to be so brutalized by white America’s criminal justice system – they are the people of God. You and I can be the people of God, too – but not if we refuse to bear the cross of Jesus in times of trouble. It’s not enough to resist the hateful movement that Donald Trump represents. It’s time to go deeper than that. For centuries, we’ve tried to solve this country’s problems by pointing to enemies outside of ourselves, insisting that if only we could purge them from our midst, we would have peace, freedom, prosperity. It’s a lie. The kingdom of God will be among us only when we ourselves are changed, and all our hidden hatred is brought out, and transformed. This is a call to action. It’s an invitation to transformation. Will you and I embrace the chaos of this moment to embrace our calling as peacemakers, earth-shakers, little children in the way of Jesus? There’s no such thing as neutrality in the face of evil. Even inaction is a decision. The good news is that Jesus offers us a path of active love that overcomes hatred. He has defeated the powers of death and division, and we can participate in his victory. We can become part of a transformed world, the kingdom of God. Are you ready to confess Jesus as Lord in the midst of this chaotic world? Will you walk in his way, even if it gets you into trouble? Are you ready to hear where the Spirit of truth is calling us in these dark days? If so, I want to walk with you. Together, we can become the light.